SELF-BELIEF is a character trait essential to boxing and Joe ‘The Faith’ Hillerby is certain he will make it six wins out of six when he steps through the ropes at The Emerald Roadhouse next Saturday (February 25). 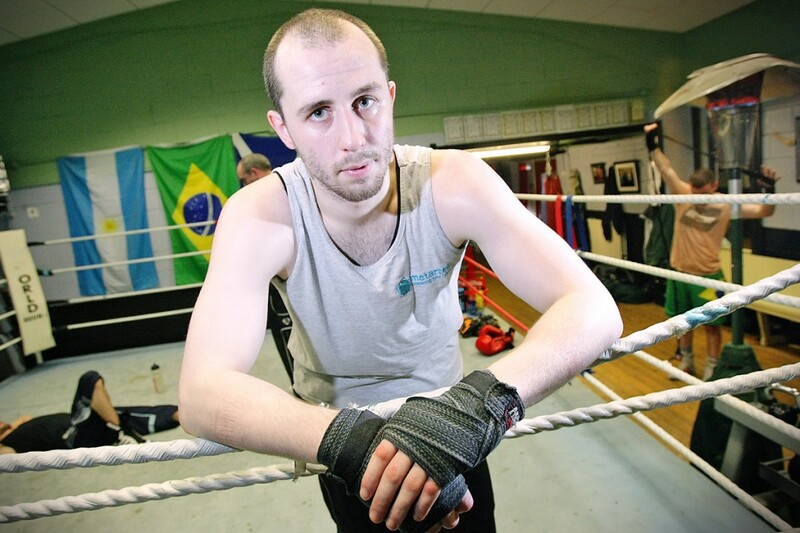 The Sandy Row man has a perfect professional record after five bouts and he will be seeking to extend his streak against Aleksandrs Radjuks (3-7-2). Hillerby enjoyed a busy debut year and having been in action five times, ensured he continued to remain active. That is also the plan for 2012 as the 24-year-old sets his sights on an Irish title shot. As chief support to former European super-bantamweight champion, Willie ‘Big Bang’ Casey’s showdown with James Ancliff next Saturday, Hillerby knows a good performance in front of local fans will help his Irish title ambitions move one step closer. “I can’t wait to get back in the ring. Hopefully I can push on from last year and work towards an Irish title shot,” he said. “The plan is to keep my winning momentum going and continue to build myself up from four rounds to eight. As is the way with many undercard fights, opponents can change several times before fight night and this has been the case in this instance. With his original Latvian foe having to pull out, it is a challenger from another Eastern European country who will be in the opposite corner. While the change is never ideal as it can hamper preparations, the South Belfast man is just relieved Radjuks will arrive from Bulgaria to give him an opportunity to get his boxing year under way. “I don’t know an awful lot about my opponent apart from his record of three wins with two knockouts and that he has lost about six or seven fights,” admitted the former Sandy Row ABC star. “I was meant to be fighting another boy but that fell through so they have had to bring this Bulgarian fella over at the last minute but I’m sure it will be fine. “It’s never ideal to have all the chopping and changing of opponents but there is nothing much you can do. Having graced legendary boxing venues like the York Hall, Bethnall Green, and the King’s Hall where he recorded his last victory over Belfast rival, Tommy Tolan, ‘The Faith’ will appear at a smaller setting in The Emerald Roadhouse this time. While the unbeaten prospect admits it is great to step out at such prestigious boxing venues, he stated that with Emerald Promotions committed to five Belfast shows in 2012, all that matters is getting into the ring and he is delighted the promoter will be giving opportunities to himself and other local fighters that suffer from a lack of action. “Fighting in the King’s Hall was brilliant and I suppose this is a smaller venue which is great as well because all that matters is getting fights under your belt,” added Joe. “There should be a really good crowd there and the promotional company I’m with now (Emerald Promotions) are looking to put on five shows here this year so that should be good. Other local men also in action on the night will be brothers Mark and Raymond Ginley, Gerard Healy and former amateur star Anthony Cacace. Topping the bill is of course Willie Casey who continues on his journey back into title contention in what should be a fantastic night for local fight fans.